Order within 39 minutes for Same Day Delivery! 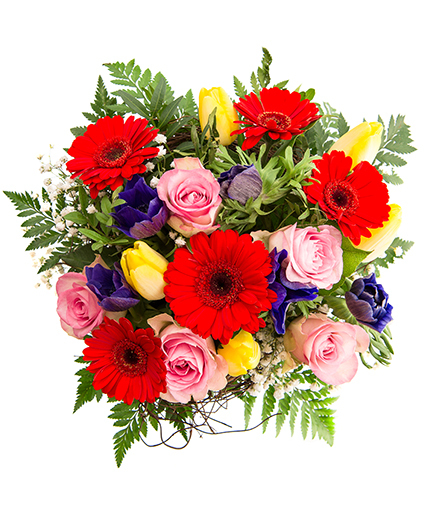 Say Happy Birthday in the best way with brilliant red gerberas, beautiful pink roses, and yellow and purple tulips. 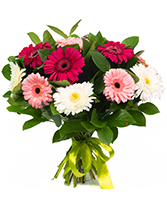 Give them a real surprise on their big day, order now! 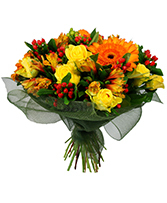 Surprise someone with a flower bouquet full of beautiful autumn tones. Order today! Subtle apricot,green and white bouquet.